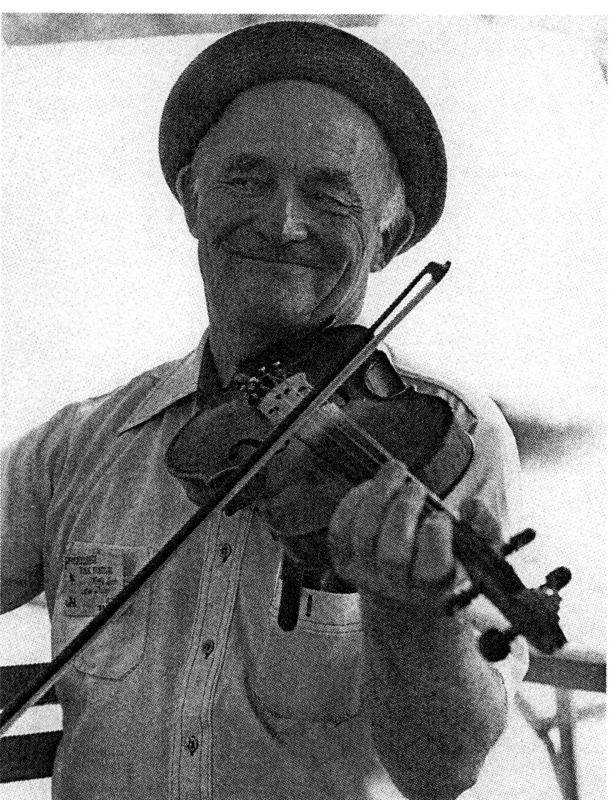 Lotus Dickey (1911-1989) was a beloved southern Indiana traditional singer, fiddler, and guitarist, and a prolific and gifted songwriter. He was a mentor and a musical inspiration to Grey, who promised Lotus that someday he would help bring out a book of his songs. Lotus’ death came sooner than his friends expected, but Grey, Nan McEntire and Janne Henshaw (with the help of many others) put together The Lotus Dickey Songbook, which was first published in 1995 by Indiana University Press. 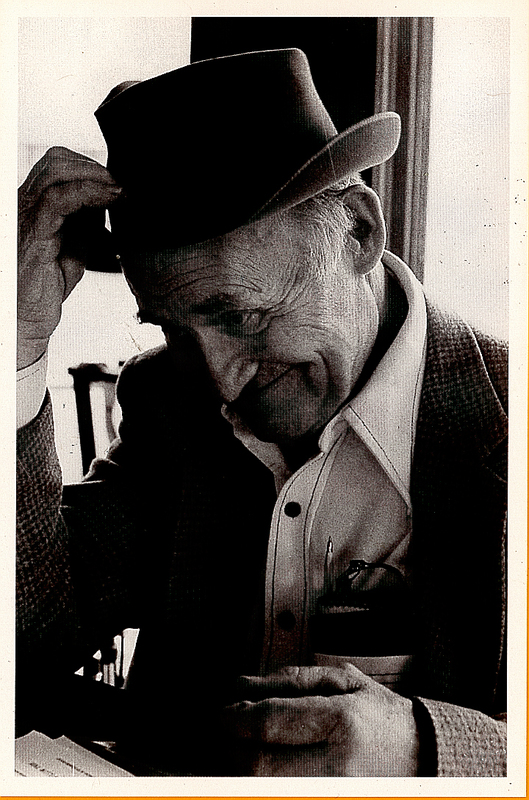 The Lotus Dickey Songbook is the authoritative resource regarding the life and work of Lotus Dickey. (It is out of print, but we still have several copies available for purchase.) It contains sheet music for 120 songs (original and traditional), a sampler CD containing field recordings of Lotus Dickey singing 23 of these songs, as well as extensive biographical information and commentary. The Very First Time Lotus was very proud of this studio recording of 14 of his original songs. Produced with spark, pluck and vivid imagination by Bob Lucas, the arrangements flesh out a richness that Lotus had always imagined for his music. For downloads: CDBaby iTunes To purchase a CD copy, contact Grey Larsen. The Pride of Glencoe On this, his first commercial recording, Lotus sings and plays the traditional songs and fiddle tunes of his youth in rural Orange County, Indiana. He sings the lead vocals, fiddles and plays guitar along with a group of musical friends. To purchase a CD copy, contact Grey Larsen. Got Someone I’m Wild About This live concert recording captures Lotus in fine form, though he was in the last months of his life. Bob Lucas and Janne Henshaw lend their singing and playing in support to Lotus, who is totally in his element, sharing his music and stories directly and personally with the friends and strangers in the audience. To purchase a CD copy, contact Grey Larsen. 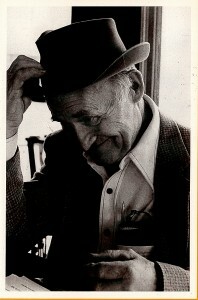 It is estimated that Lotus Dickey wrote more than 500 songs during his lifetime. We are lacking recordings of most of these songs, and we welcome any assistance in obtaining field recordings and information. Lotus Dickey’s songs are copyrighted, and published by Lotus Dickey Music, a publishing company affiliated with Broadcast Music Incorporated (BMI) and The Harry Fox Agency. Here you will find BMI’s listing of all of Lotus Dickey’s published songs. Grey Larsen administers Lotus Dickey Music. If you are planning to record of one of Lotus Dickey’s songs, please contact Grey. Here are some links to items having to do with Lotus Dickey and his music.